The best handpicked Wedding Hair and Makeup Artists around the UK. 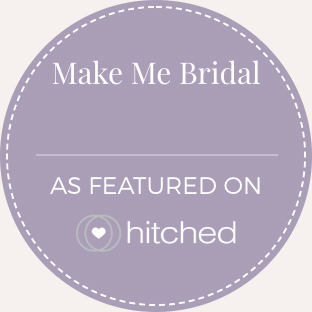 Discover Real Weddings, Bridal Style Inspiration and search for Local Artists. Save time searching... quickly discover a selection of available artists near you. Chat with your favourite artists, browse their profiles, portfolios, reviews, prices and more. Made a decision? Click "Book this artist" to send a booking request to your chosen artist. How will you look on your wedding day? Watch this video to find out how to get the most out of Make Me Bridal and book your perfect Wedding Hair / Makeup artist today. Are you a Bridal Hair / Makeup Artist?